To support a project to rehouse an archaeology collection of 72,000 objects that focuses on North America. The artifacts will be moved to the LEED-certified Avenir Collections Center and placed on custom-created storage mounts and in new cabinetry. To support a four-week institute for twenty college and university faculty to study the social, cultural, and environmental history of American maritime regions. To prepare for digital publication of the papers of the governors of Kentucky during the Civil War. 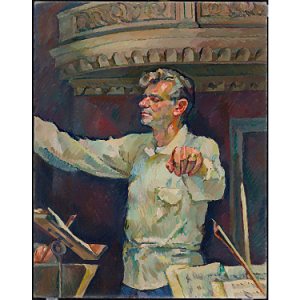 To implement a traveling exhibition about American composer Leonard Bernstein on the centennial of his birth. To upgrade environmental controls and improve fire and security systems at the Cody Firearms Museum, which houses a collection of 7,000 firearms and more than 20,000 related objects chronicling the development of firearms from 1425 to the present. Humanities Nebraska recently awarded a $5,500 grant to the Strategic Air Command & Aerospace Museum (Ashland, NE) for the case and signage of a new exhibit on Astronaut Clayton Anderson. Great stuff to see as we cruise through Affiliateland in September! The Smithsonian Jazz Masterworks Orchestra will be part of a family festival at the High Museum of Art in Atlanta, 9.8-10. Ann Caspari, an educator at the National Air and Space Museum, will lead a science educator workshop for teachers at the Georgia Aquarium in Atlanta, 9.14-16. 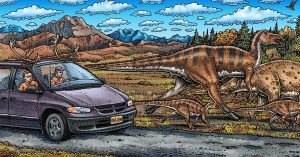 The Anchorage Museum will open Cruisin’ the Fossil Coastline, an exhibition of the travels and fossil adventures of Alaska artist Ray Troll and paleontologist Dr. Kirk Johnson, director of the National Museum of Natural History, in Anchorage, 9.15. The Sullivan Museum will host a talk by Dr. Adrienne Kaeppler, anthropologist at the National Museum of Natural History, on the Wilkes expedition and the amazing specimens from it in Northfield, 9.21. Over 100 Smithsonian Affiliates will open their doors free of charge to ticket holders as part of Smithsonian Magazine Museum Day Live!, 9.23. The Museum of Arts and Sciences will host a lecture by Valerie Paul of the Fort Pierce Marine Station on 9.23. The Museum will also present two concerts by the Smithsonian Jazz Masterworks Orchestra in Daytona Beach, 9.30. 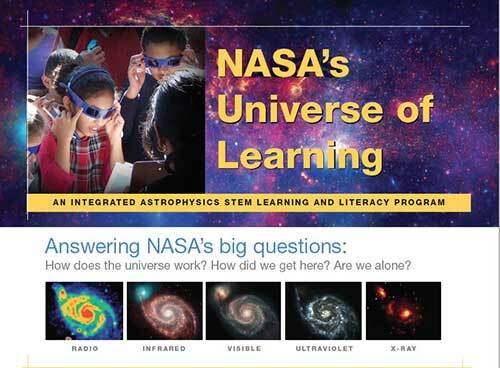 Smithsonian Affiliations, in collaboration with the Smithsonian Astrophysical Observatory and funded through NASA’s Universe of Learning, is launching a new, two-year science literacy pilot program and looking for participants. Funding is available–up to $2,000 per year– for seven Affiliate organizations to use resources from the Universe of Learning site to develop programs exploring art, history, and natural science. The goal of the pilot is to create sustainable models of innovative STEM learning for youth, families, and lifelong learners. To participate, interested candidates must complete three of seven professional development online webinars. * The webinars are hosted by astrophysics scientists and educators and discuss NASA’s three main questions: How does the Universe work? How did we get here? Are we alone? An accompanying online forum will further strengthen the discussion topics and address how your organization can best use the available resources to develop and share your program model. Webinars are every two weeks on Wednesday at 2pm EST (the next one is on Sept 13th). *Two out of the seven webinars have already occurred. However, they were recorded and we encourage for your institution to partake in this great opportunity. The application opens in November and is only available to Smithsonian Affiliates. For any inquiries, please email Patty Arteaga at ArteagaP@si.edu. The Smart Museum of Art and DuSable Museum of African American History (Chicago, IL) have been jointly awarded a $250,000 grant from the Terra Foundation for American Art in support of the special exhibition South Side Stories. The collaborative exhibition opens in September 2018 as part of Art Design Chicago and explores the artistic production and cultural legacy of Chicago’s South Side. At the DuSable Museum, Holdings will consider the ways in which individuals, artists, and institutions collect, shape, and embody history, and how these histories—whether personal memories or institutional archives and collections—are subsequently shaped and reshaped over time through research, curatorial forgings, individual motivations, and incorporation into contemporary artistic practices. The National Park Service announced that Mystic Seaport (Mystic, CT) is the recipient of a National Maritime Heritage Grant. Mystic Seaport was awarded $49,959 to support development of From Clippers to Containers: The Benjamin F. Packard and the History of U.S. Deepwater Cargo Transport, a long-term exhibition that will explain changes in the maritime cargo trades from the mid-19th century to the present. The Harry Wilson Loose Trust has awarded a $200,000 one-year grant to Union Station Kansas City (Kansas City, MO) to complete an expansion project that includes an outdoor event space and outdoor Science City exhibit. Officials at the Peoria Riverfront Museum (Peoria, IL) unveiled the Every Student Initiative, a program to fund once-a-year visits to the facility for 9,000 children across central Illinois through a $250,000 grant from the Barton Family Foundation. Javier Cevallos, the president of Framingham State University (Framingham, MA) was appointed to serve on a new state-wide Latino Advisory Commission which will promote the economic prosperity of Latinos in Massachusetts. The DuSable Museum of African American History (Chicago, IL) has named Lee Bly as the museum’s first ever vice president for planning, education and museum experience. Ahmad Ward, former Vice President of Education and Exhibitions at the Birmingham Civil Rights Institute accepted an Executive Directorship role at the Mitchelville Preservation Project in Hilton Head Island, South Carolina. The mission of the Mitchelville Preservation Project is to replicate, preserve and sustain a historically significant site and to educate the public about the sacrifice, resilience and perseverance of the freedmen of Mitchelville, which in 1862 was the first self-governed town of freed slaves in America. Among the project’s key partners is the Coastal Discovery Museum (Hilton Head Island, SC). Jeff Nathanson has been selected as the new Executive Director of the Museums of Sonoma County (Santa Rosa, CA). 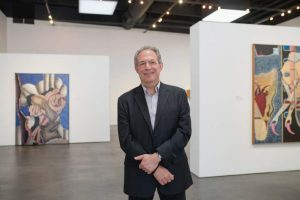 Nathanson served as Executive Director of the Arts Council of Princeton in Princeton, New Jersey.